“What is detailing?” It’s a question we hear frequently. “Detailing” is a term many people have seen, but they may never have heard a proper explanation of what it is, or what you should expect from detailing. In this article by Pfaff Autoworks, we will be talking about some of the benefits of professional car detailing for your vehicle. Detailing involves a thorough cleaning and reconditioning of both the interior and exterior of your vehicle. It is a meticulous step-by-step process to restore your vehicle’s beauty and protect your investment. Detailing services can extend beyond automobiles and could include trucks, buses, SUVs, RVs, boats, motorcycles and even airplanes. Most detailing companies are able to handle some, or all, of these types of vehicles. Pfaff Autoworks specializes in working with high quality luxury cars. Because what’s included in a detailing service can vary, an important consideration is to determine the specific services that you want to have performed on your vehicle. There may be different detailing packages available that vary in cost. There are no uniform guidelines for the detailing industry. This means you may encounter wide variations in service packaging and pricing. Contributing factors to these variations can include different levels of training, quality of service, professionalism and the products and equipment utilized. 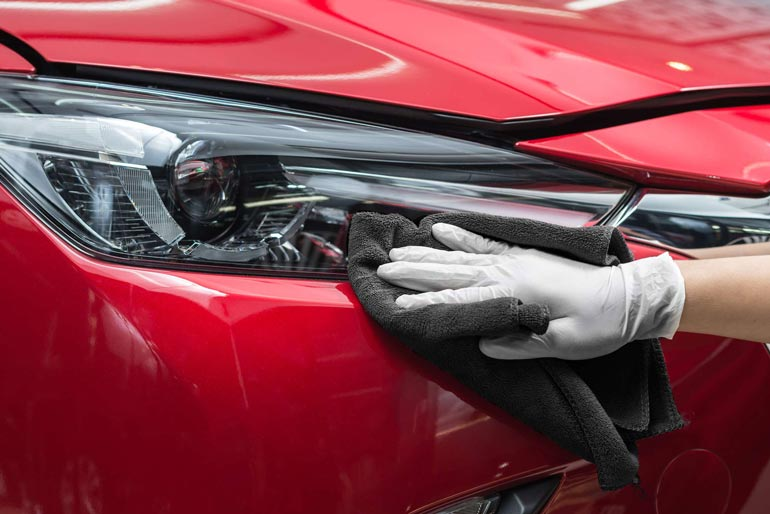 At Pfaff Autoworks, our car detailing services are performed by highly qualified technicians, and we have the state of the art equipment to get the job done right. Why do I even need car detailing for my vehicle? The single most important aspect of auto detailing is your vehicle’s need for protection from the elements. A common misconception is that a vehicle’s “clear coat” protects the exterior finish, so that regular maintenance is not required. In reality, a wax coat should be applied at least twice a year to the painted surfaces to protect the finish from contaminates and oxidation. Although some dealerships offer an extra protection package for the vehicle at the time of purchase, this should not be considered a permanent solution. The bottom line is, you want your investment to last as long as possible and to stay in pristine condition. With professional car detailing at Pfaff Autoworks, we can assist you with this! For more information about our car detailing services, please feel free to continue browsing through our website. Click here to find our contact information and to fill out our contact form.